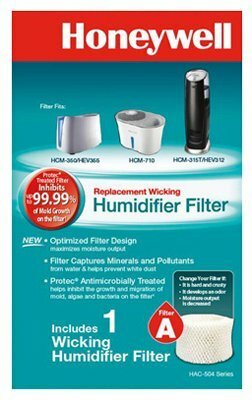 Replacement Humidifier A Filter Pad, For Honeywell Natural Cool Moisture Humidifiers, Fits Models, HCM-710 Sku 152006, Hcm 1000 Series, #1000, #100c, #1010, Hcm 2000 Series, #2000, #2000c, #2001, #2002, #2020, #2050, Hcm 500 Series, #530, #535, #540, #550, #560, #551, Hcm-600 Series, 630, 635, 645, 650 and Ecm 250i, Filter Removes Minerals and Pollutants From Water, Filter Has Anti-Microbial Treatment Which Helps Prevent The Growth and Migration Of Mold, Fungus, Algae and Other Bacteria On Filter, Also Reinforced For Maximum Efficiency and Longer Life, Filter Has Exclusive Dry Lift Handle Helps To Keep Hands Dry and Clean While Changing Your Filter. If you have any questions about this product by Kaz Usa, contact us by completing and submitting the form below. If you are looking for a specif part number, please include it with your message.